In a rematch of last season's National Championship Game, the Baylor Bears took on the Notre Dame Fighting Irish in South Bend last night. 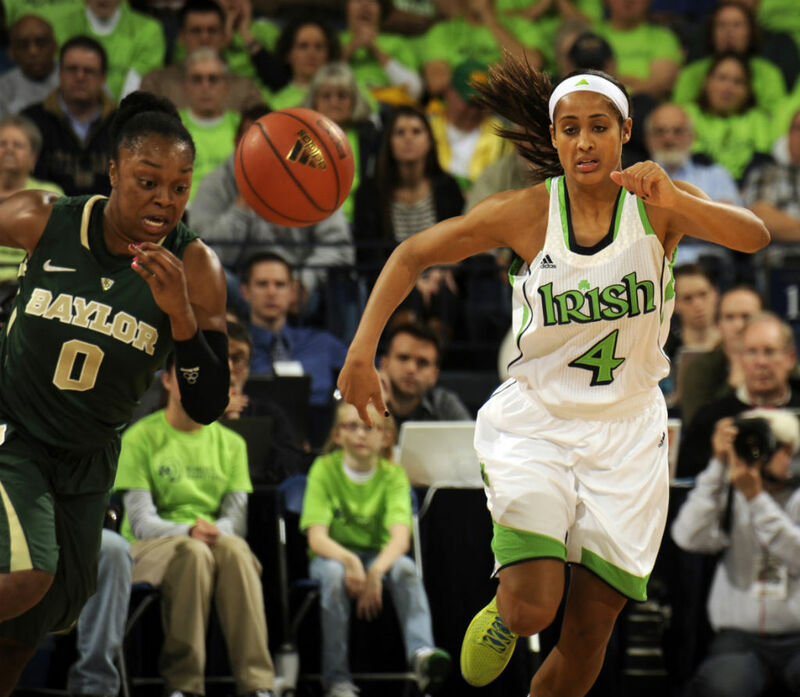 In a rematch of last season's National Championship Game, the Baylor Bears took on the Notre Dame Fighting Irish in South Bend last night. 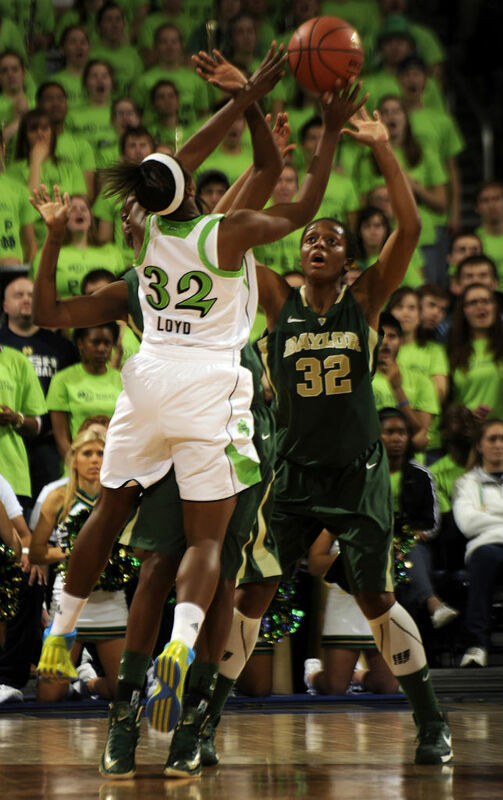 Closely contested for the most part, Baylor was able to pull away late behind Brittney Griner's strong double-double to top the Irish 73-61. The loss was Notre Dame's first of the year. 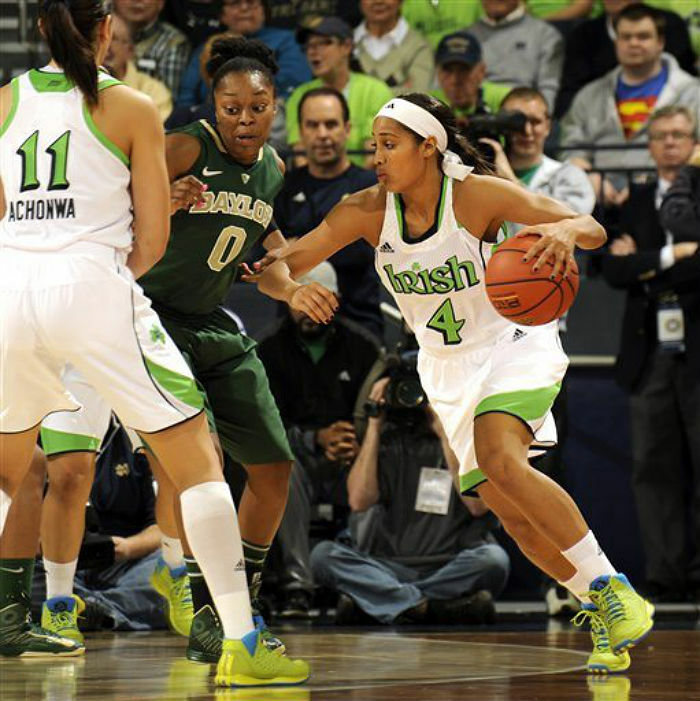 Despite dropping the game, the Lady Irish were winners with their sneaker selection, going with a team-wide wearing of the "Fresh Prince" adidas Rose 3. Also known as "90s Throwback," the shoe is inspired by fashion of the era and features graffiti-style detailing on the tongues. View a few photos from last night's game below. You can grab the "Fresh Prince" Rose 3 today at Eastbay and adidas.com.